Capitol Life Insurance Company began in 1906 as the first such chartered company in the state of Colorado. They maintained their Colorado headquarters until a 1996 acquisition by National Health Insurance Company resulted in the company being moved to Dallas, Texas. Capitol Life was acquired in 2007 by Heritage Guaranty Holdings and now is wholly owned by Dallas-based Liberty Bankers Life Insurance Company. If you need information about health insurance rates from providers in your area, simply enter your zip code below. It appears as though at one time Capitol Life may have offered some lines of supplemental health insurance. Based upon the Liberty Bankers Life website however, we can safely say that at this time they do not carry such products. Their business is focused solely on life insurance and annuities. Therefore, the information in this review will be limited where it pertains to health insurance coverage. Capitol Life is licensed to sell insurance in nine states and the District of Columbia; it seems reasonable that the company probably does not maintain any local offices into those nine states. Instead, they sell and service policies through individual agents, financial advisors, life insurance brokers, and banks and other financial institutions. 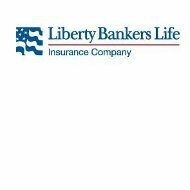 If you would like to contact Liberty Bankers Life Insurance Company, their address is the same as above. If you would prefer to contact a local agent, the Liberty Bankers corporate website does offer an agent locator feature. This feature is not a simple online search engine like some other insurance companies offer; rather, it is a fill-in form, which is submitted online. The company follows up by having a local agent contact you directly. A toll-free number is provided if you prefer to call for this information. Capitol Life offers more than half a dozen different life insurance products, categorized under whole and term policies. A whole life policy is one where the consumer purchases and pays for it over a predetermined amount of time. Once that time has expired, the consumer no longer pays into the policy unless he desires to build its value further. His estate can then make a claim at any time in the future upon his passing. The company will pay out according to the terms originally established in the policy. Under a term life policy, the coverage remains in force only as long as the consumer continues to pay premiums. If late or missed payments cause a policy that temporary lapse, an estate could not file a claim in the event the consumer passed away during that lapse. Term life insurance is the more popular of the two kinds because it is generally less expensive. The other main products Capitol Life provides are various types of annuities. Annuities are similar to life insurance policies except for the fact that they are designed to be investment vehicles in addition to life insurance. There are many types of annuities in terms of their structure and benefits, but they all involve a payment schedule, which has the consumer investing on a continual, long-term basis. As with any other life insurance or annuity provider, claims for Capitol Life Insurance will be made by contacting the carrier directly. Their website provides two options for initiating claims process, the first being to fill out an online form, which will result in a company representative contacting you. The second option is to utilize the toll-free telephone numbers provided in the contact section of the website. Capitol Life provides different phone numbers for the different types of policies they offer. In the event of a claim, the company will take all the necessary information, review your claim, and then make appropriate payment. Depending on the type of claim you make, and the circumstances surrounding it, the process could take anywhere from several weeks to several months. Neither Liberty Bankers nor Capitol Life list current job openings on their website. In fact, there is not even an employment or careers link that you can follow. If you are interested in a possible career as an agent or a direct employee, your best bet to contact the company’s HR department using the information above. Hopefully, you will be able to learn about where to post your resume and what job openings are currently available. You can get instant access to online health insurance rates by simply entering your zip code in the box below.